has been achieved. During some tummy time on the boppy this afternoon, Kalena managed to get her whole little body up and over the front of the pillow. 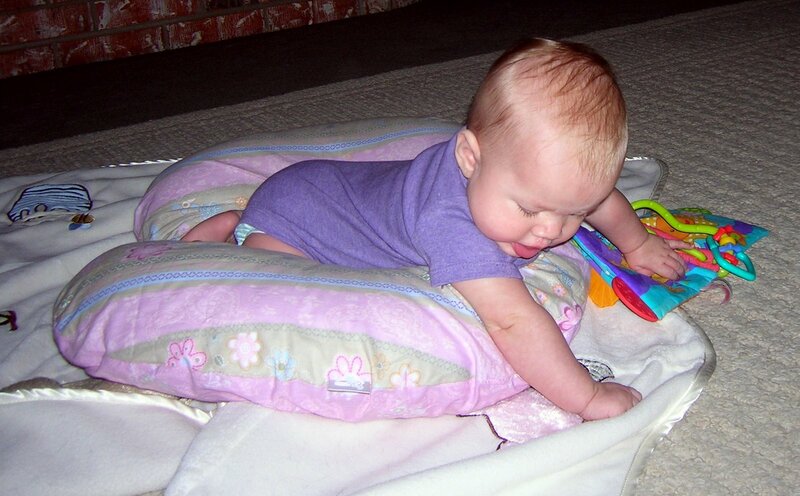 I’m not sure I’d call this crawling, but she’s moving in that direction. (Ha ha, see how clever I am?) I guess baby-proofing will need to happen sooner than we thought. 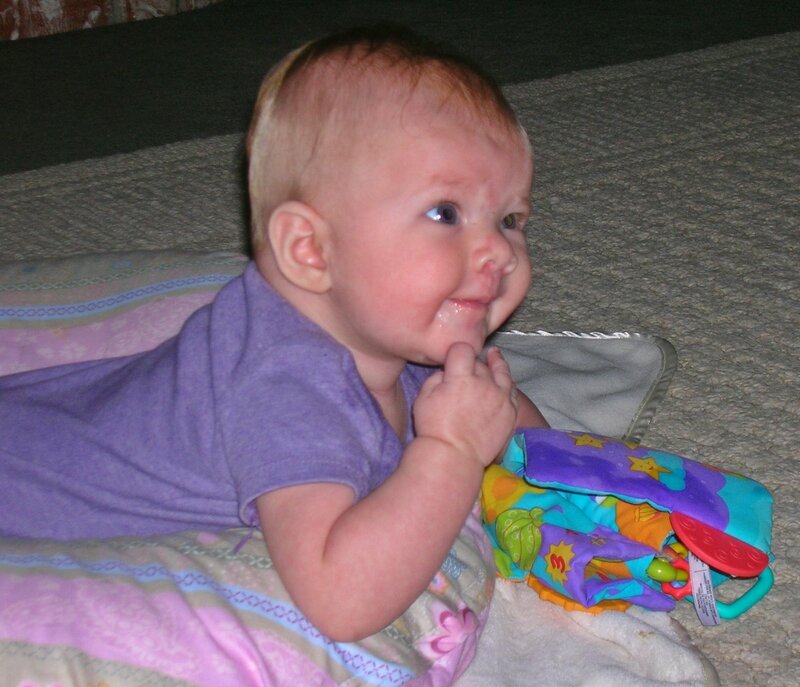 Here she is enjoying tummy time. And it begins. Push her down, push her down! I love watching her during Sacrament meeting…such a cutie! everybody’s doin’ a brand new dance now – c’mon, baby, do the locomotion! Christmas is going to be CRAAAAZY.